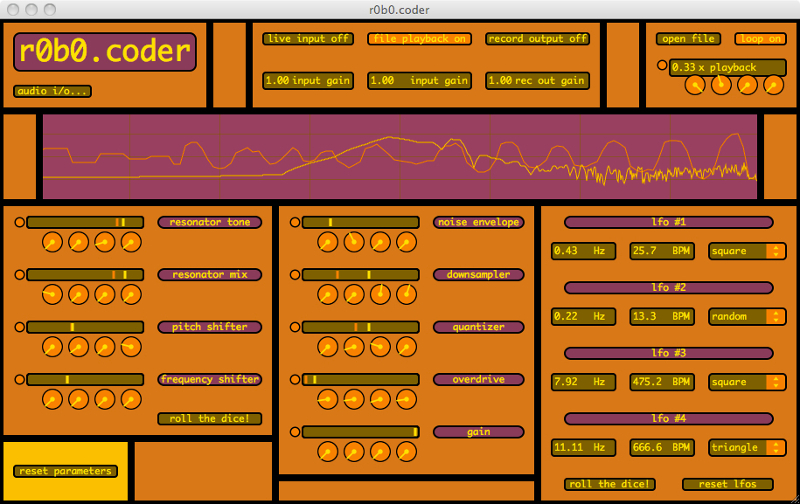 r0b0.coder is a standalone multi-effect processor I created using Max/MSP. It features a series of different real-time processing techniques that can be applied to a live input or .wav samples. Parameters can also be randomized and/or controlled by LFOs in order to achieve unexpected timbres.